For Video Soundtracks, Computers Are The New Composers : All Tech Considered In some cases, the job of composer might be going the way of typewriter repairman and bowling pinsetter as software creates music more cheaply and quickly than humans. Can you hear the difference? Tomas Villegas was looking for information about a product on YouTube, but couldn't find it. "So I thought, well, I'm sure there's other people looking for it. So I made a video." "It just adds that third dimension that is missing sometimes," he says. Of these two music excerpts, one is composed by Vivaldi and the other is a computer imitation of his style. Click on each to test your ears. Answers below. "I upload weekly," Villegas says. "So for me to pay a composer for 52 separate custom songs ... wouldn't make sense in the return on investment for me." Jukedeck is a program that enables users to choose the length of a piece of music, its style, the instruments featured and even climactic moments to heighten emotion. Ed Newton-Rex, the company's founder, is a composer who studied computer programming, and says he started to ask himself: "Given what we know about how music's put together, why can't computers write music yet?" "You basically make a bunch of choices that really anyone can relate to," Rex says. "That's one of our aims. We wanted to make it as simple as possible, [to] really democratize the process of creation." But Rex isn't the first to discover computer-generated music. In fact, one of the first compositions by computer was the Illiac Suite in 1957. David Cope, professor emeritus at the University of California, Santa Cruz, is among the pioneers of computer composition. He says despite the successes there's been limited investment, because audiences and producers are uncomfortable with it. "On the credits they don't want to see 'Composed by Computer Program Experiments in Musical Intelligence by David Cope,' " he says. "It's the last thing they want to show their audience." But the world has changed and although Jukedeck isn't the first program to write original music, its business model may be right for this moment, with millions of content creators on platforms like YouTube and Vimeo every day. Many would like to use music but can't afford large sums for rights or composition. 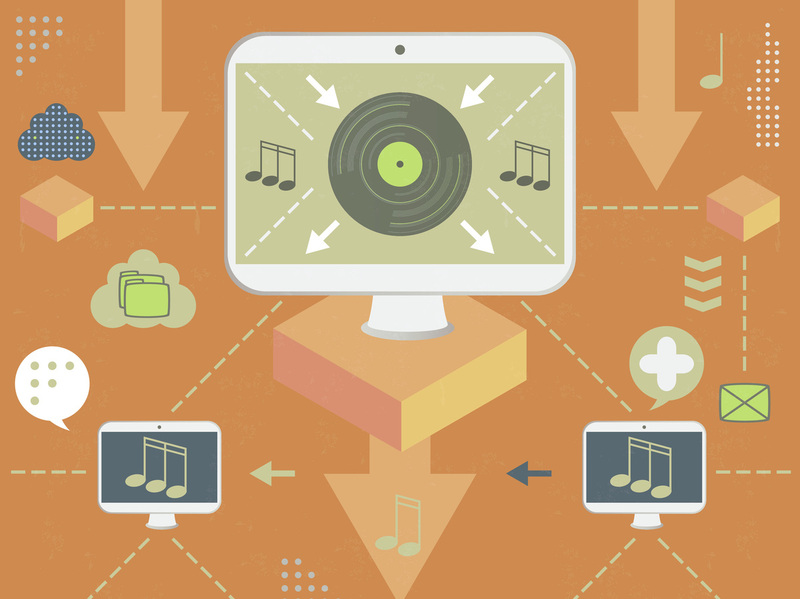 Even some corporate giants, like Google and IBM, are developing music composition programs. And Cope says he thinks eventually the public will get over its bias. As Cope sees it, composers who write soundtracks and jingles may need to look for another job. "It's going to go that way eventually," he says. "It may be 20 years from now, it may be 50 years from now, it may be two years from now. But, no matter when it is, it's going to happen. Period."